But seriously – this is one of the softest tops that I own (wearing an XS). I love the button detail and the v-neck. It’s a great layering piece for spring. 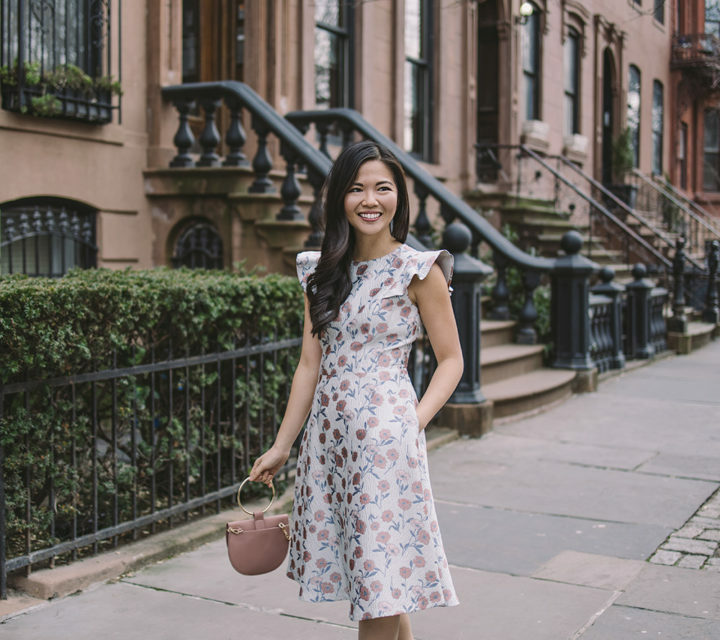 When I’m not wearing all of the floral dresses (see here and here), you can definitely find me in an outfit like this! That’s a gorgeous sweater, I love the buttons, they elevate what would otherwise be a plain sweater to something much prettier and unique. Love those heels! Is your sweater a cardigan?